Ultimate Tool & Die Inc. has been providing CNC Turning services for nearly 20 years making our programers and opperators some of the most knowlegable in the industry. Let our experiance and knowledge be your gain by choosing Ultimate Tool to run your product on one of our CNC Lathes / Turning Centers. 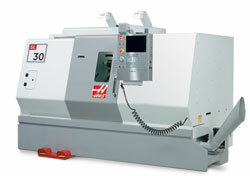 Our newest addition in 2008 is a brand new Hass SL-30 CNC Turning Center. The SL Series offers a wide range of capacities. The SL-30, with a max turning capacity of 17" x 34" Between centers ,30" diameter on short parts, and has a bar capacity of up to 3.0". Haas high-performance turning centers also feature massive headstock castings with symmetric ribs for rigidity and thermal stability; on-the-fly wye-delta switching for peak performance throughout the rpm range; and embedded chip trays and high-volume coolant systems for efficient chip removal. The purchase of the SL-30 is yet another example of how Ultimate Tool is contiually advancing and improving our capabilities in CNC turning & Precision Machining to new levels of reliability, ease and productivity to better serve our customer. To view the SL30 CNC Turning Center Video, click HERE. 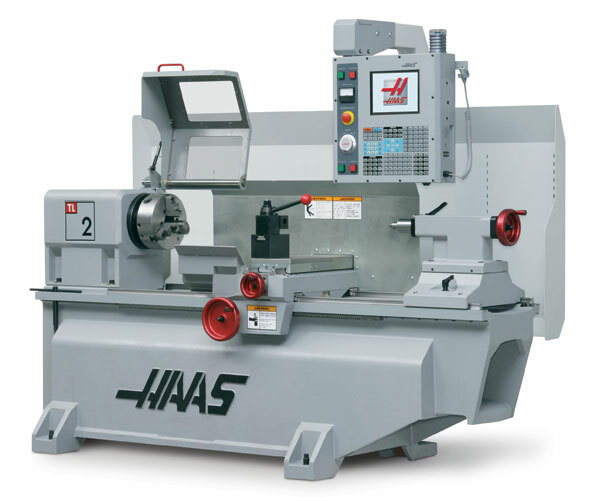 With the purchase of a Hass TL2 CNC Tool room lathe, not only can Ultimate Tool efficiantly manufacture production runs of your custom turned product, we can also CNC machine low quantity parts with minimal set-up and program time making the smaller quantities and repair work a snap. This means you get a high-quality, high-precison part with a shorter turn-around time, in-turn saving your company money, but more importantly saving valuable time. View the TL series video HERE. Ultimate Tool can run High or Low-Quantity, High-Precision production runs of your custom turned product at a fraction of the cost of Convntional Machining using our CNC Turning Center/Lathes with fast lead times. Let Ultimate Tool be the name you choose for all of you CNC Turning Needs. View our CNC Turning Photo Gallery HERE. Max Cutting Diameter: 17.00" x 34.00" - 16" x 48.00" - 30.00" x 8.00"
Max Diameter for bar feeder: 3.00"